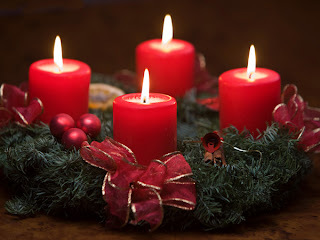 1st candle – (purple) the prophecy candle or candle of hope. 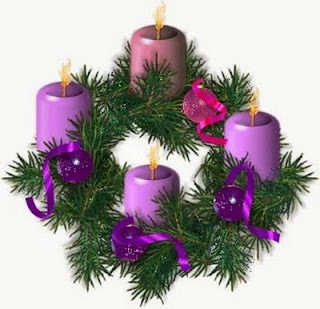 2nd candle – (purple) the bethlehem candle or the candle of preparation. 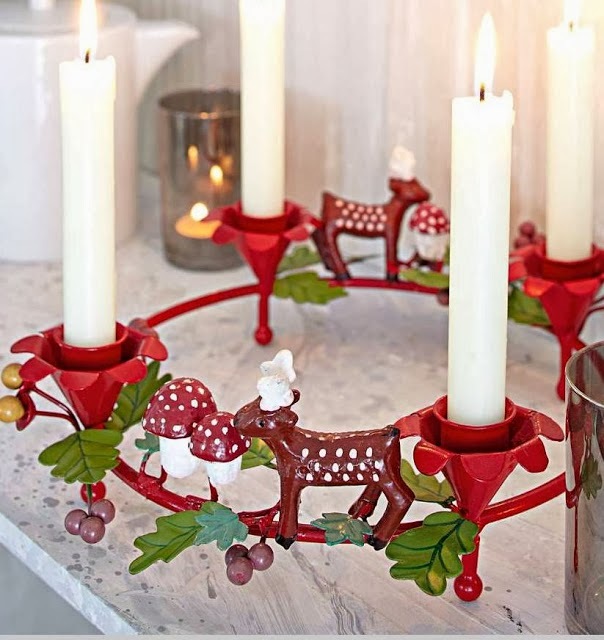 3rd candle – (pink) the shepherd candle or the candle of joy. 4th candle – (purple) the angel candle or the candle of love. Below you can find an interesting selection of Advent Wreaths that you can buy or do by yourself. 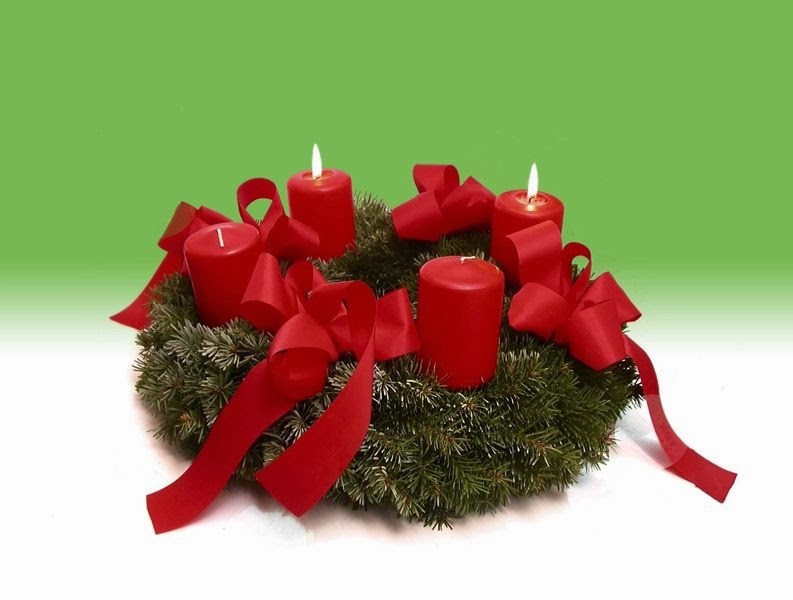 Advent Wreath with green base and red candles and ribbons. Advent Wreath with branches, Christmas ornaments, ribbons and four red candles. 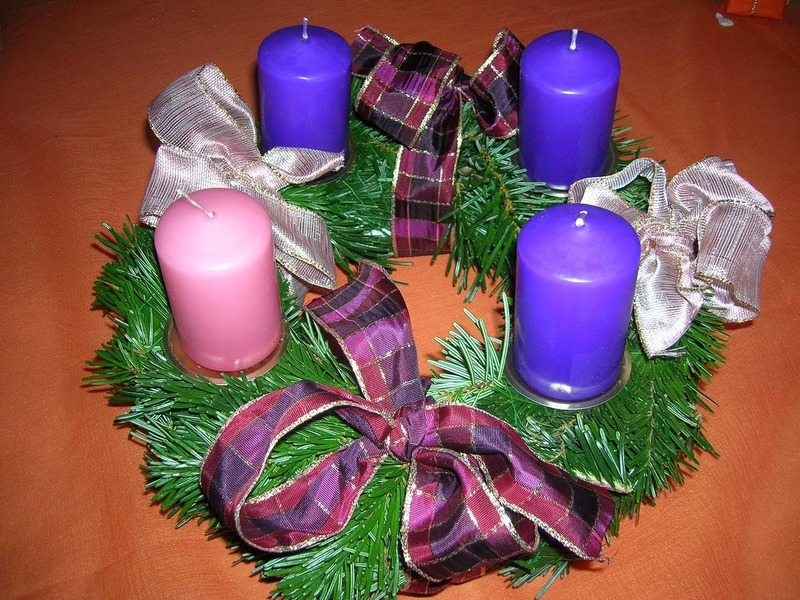 Advent Wreath with silver and purple ribbons, three blue candles and a pink one. 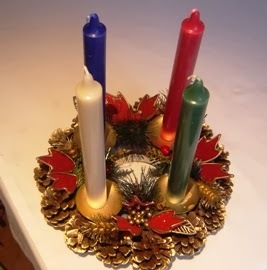 Advent Wreath with a golden base and four candles, a white one, a red one, a blue one and a red one. 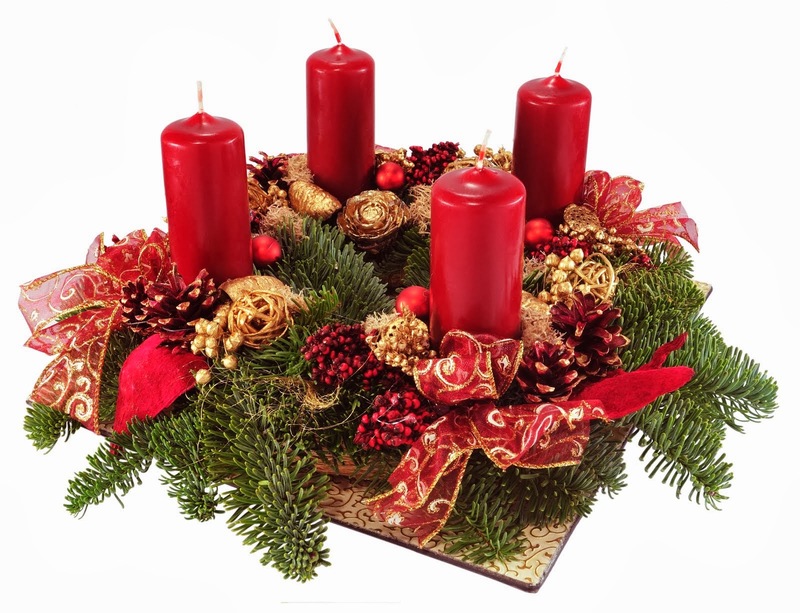 Advent Wreath with red branches, golden and reddish Christmas ornaments, and four candles. 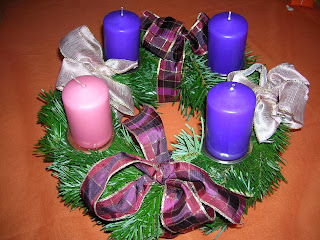 Advent Wreath with a red base, and four candles, three of them purple and the other one pink. 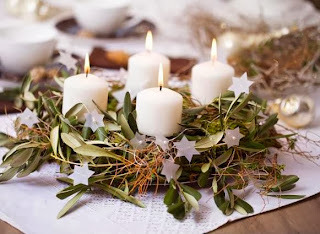 Advent Wreath with white candles. 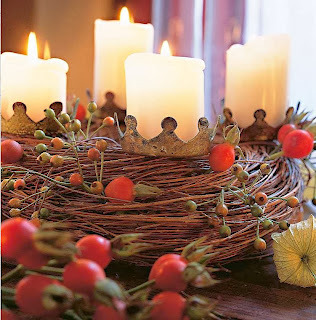 Rustic Advent Wreath with white candles. 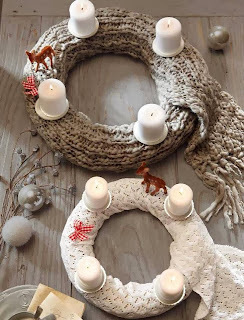 Another idea of Advent Wreath with white candles. Advent Wreath with a metallic structure and four white candles. 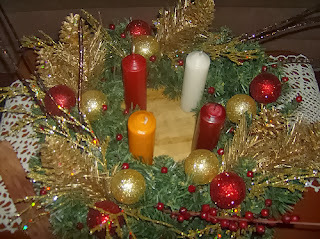 Advent Wreath with red candles, ribbons and ornaments. I hope you have enjoyed these Advent Wreaths.